In the fall of 2011, Abigail Disney was the featured speaker for the Women’s Foundation of Arkansas luncheon. Arkansas WAND members and some students from the Clinton School of Public Service attended a screening of her film Pray the Devil Back to Hell. This film told the story of Liberian women from the Christian and Muslims congregations in Monrovia, who formed a coalition with the purpose of ending the years of civil wars that had devastated the country. We were incredibly moved and inspired by the main force behind this women led peace movement Leymah Gbowee. We also learned that Ms. Disney was producing a PBS series Women, War, and Peace. One of the episodes was Pray the Devil Back to Hell. This screened in the fall, but was quite limited in Arkansas. Clinton School student Trish Flanagan met with members of Arkansas WAND to discuss the possibilities of setting up a screening of the film with facilitated discussion led by students. The Amnesty International chapter at Pulaski Academy High School was developing a film series for the spring and joined the effort to bring this film to a larger audience. The film was shown to over 50 people of all ages. The entire event was planned, publicized and carried out by the students. Again inspired, we talked of the possibility of inviting Leymah Gbowee to Little Rock to speak at the Clinton School for Public Service. In December 2011 she was awarded the Nobel Peace Prize along with Ellen Johnson Sirleaf and Tawakkul. Arkansas WAND extended an invitation to speak at the Clinton School Public speakers series to Ms. Gbowee, she accepted and it was an inspiring visit that facilitated our own mighty powers in Arkansas. A young Liberian woman graduated from the Clinton School for Public Service in May, 2016. Watch the trailer for Pray the Devil Back to Hell here. 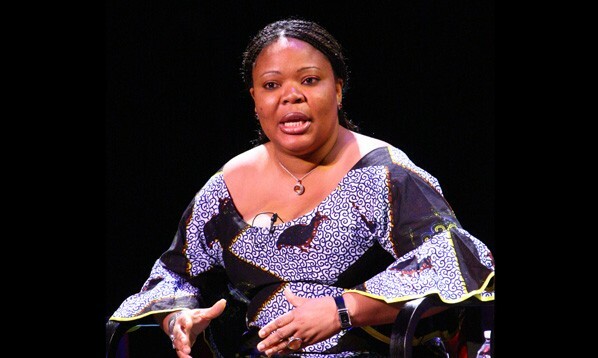 Read about Leymah Gbowee’s biography “Mighty Be Our Powers” on her website.